I took a photography class in High School, which afforded me the distinct honor of earning my first and only F- (Thanks Mr. Sally). Out of everything I didn't learn, the only thing I vaguely remember about that class was the time the origin of photography was discussed, coincidentally, at the same time while I was desecrating my Pee Chee folder. One of the few things I actually miss about High School. If I may get a little Paul Rudd from Anchorman, from what a recall, some guy who was... like a Chemist (or something), left a plate of chemicals on his windowsill. When he came back the next day, there was a faint image of the buildings from across the street on the plate once the chemicals settled. How that probably went down. Boom! Next thing you know, photography was born. Or not. I don't know. I tried to research the validity of my hazy recollection and couldn't find one story that supported this occurrence. What I did learn is that there were two different men whose combined experiences contributed greatly to the birth of photography. Which probably mutated into a single, poorly recollected, story as it seeped it's way into my thick teenage skull. Above we see View from the Window at Le Gras captured by Joseph Nicéphore Niépce. Taken in 1826, this is credited as being the first permanently fixed image. Originally starting as an attempt to create reproductions of drawings, Joseph began experimenting with light sensitive materials. Using a modified Camera Obscura (Latin for "dark chamber") fitted with a plate coated in Bitumen of Judea (a naturally occurring asphalt which hardens in proportion to its exposure to light), Joseph used this method, which he referred to as "heliography", to capture the view outside his second floor window. After an 8 hour exposure, he washed the image in a chemical mixture of lavender oil and white petroleum. After which, only the hardened areas of Bitumen on the plate remained. Three years later, Louis Daguerre, a french artist/physicist joined forces with Niépce in an effort to drastically reduce the 8 hour exposure process required for heliography. After leaving a silver spoon ontop of an iodized silver plate, Louis noticed the shape/design of the spoons shadow was transferred to the silver plate after it was exposed to light. With Niépce passing in 1833, Louis pressed on, eventually developing a more advanced process. He discovered that he could capture a faint image by exposing silver coated copper plates for a shorter period of time, then develop it into a more distinct visible image with the use of chemicals. Naming this process after himself, Daguerreotype became the first public/commercial photography process in history. While there were many other occurrences, instances, inventions, and happy accidents to take place before and after the experiments of Joseph Nicéphore Niépce & Louis Daguerre, the fortitude and ingenuity of these two men allowed those of us born 200 years later to enjoy a multitude of societal advances through photography... such as the belfie. The only picture of sweet delicious buns I can post that WONT get me fired. This entry was posted in Photography and tagged Educational (Sort Of) on February 26, 2016 by admin. As someone with a larger-than-normal-head who gets painfully insecure when shopping for hats, I can tell you that One Size Fits All is a farce! More like one size fits MOST, but for the most part, it works fine for the majority of people. That's because most people don't need something unique, just functional. On the flip side, sometimes that just won't cut it. Your head might be swelling, not from a freakishly large skull (reducing you to work as a lowly blogger), but from all the awesome unique ideas that keep popping into your brain! Sometimes normal is just too boring and you need a one-of-a-kind product. As a consumer, this is where things can be a little challenging. If it's your first time, requesting something unconventional or exclusive can be just as intimidating as making accidental eye contact with someone working at a mall kiosk. "Can I interest you in some lotion?" While most businesses would groan and roll their eyes, we here at PLYWERK are always up to the challenge! Sure, we offer several different print sizes, but we know that the imagination of our clients does not fit neatly into ONLY what we have available. Sometimes they challenge us to step outside our comfort zone and whip up something fresh! We produced close to 20 of these lovely unique dimensional prints. All of the cutting, sanding, and assembly done so by the careful hands of the PLYWERK production team. As you can see a little bit better from this angle, dimensional prints give your PLYWERK an added layer of depth, making it explode with dynamic characteristics that supersede the distinct appeal of an already incredible product! This is just a fancy way of saying we attached a smaller print to a bigger print and it looked pretty cool! Chris is the bad boy of PLYWERK. He's like a mix between Bugs Bunny, Han Solo, and Randal Graves (with a touch of Bill Murray for all the ladies). He might not look it, but I've seen him accomplish impressive feats of strength. Just the other day I watched him destroy an entire box of donuts, leaving a tattered whirlwind of shredded pink cardboard in it's place. Lets see how this dimensional PLYWERK print stands up to the inhuman strength of his Robin Williams arms. Holy ShazBot! Either Chris is using all of his strength in a pitiful attempt to rip the dimensional layer in two, or he's wincing in pain from accidentally kneeling on the pointy part of corner. C'mon Chris, just pretend there's 12 chocolate glazed crullers hidden in between those two prints! See that? Those two are inseparable (just like Chris and donuts). Don't worry Chris, it happens to a lot of guys. I just hope you learned and important lesson today, and that lesson is: If you grab the last donut while I'm reaching for it. Then eat it in front of me, I'm going to trick you into posing for a bunch of goofy pictures so I can rag on you in my blog posts! This entry was posted in Custom Wood Print, Direct Printing, Handmade in California on February 12, 2016 by admin. Millennial's have infiltrated the ranks of pop-culture, protecting the world from micro-aggressions by imposing safe-spaces and participation awards on us all. As someone who falls into this category since I was born in the early 80's, I'd like to say that I'm only kidding. I'd also like to let you know that I find the term "Millennial" highly offensive and would prefer if you referred to me as a Vainglorious 21st Century Iconoclast as I do not identify with any traditional measurement of time... you Chronophobe! Your intrinsically paternalistic interpretation of the 4th dimension causes me great emotional distress. Sorry. Mille... *ahem* Vainglorious 21st Century Iconoclasts tend to get a little cranky when our mundane personal achievements go unnoticed, and nobody asked me about the vague, attention seeking tweet I posted this morning that read "Don't Ask." followed by a sad face emoji. Unfortunately, my delicate sensibilities were only further agitated upon researching information for this article, when I learned that (TRIGGER WARNING) bamboo is a million times more interesting than all the Minecraft videos on YouTube combined! All Eighty One Million, Seven Hundred Thousand of them. Some bamboo species can grow nearly 1 meter daily, reaching heights of up to 100 ft within 60 days. Combining it's expedited growth cycle with an efficient carbon exchange rate, bamboo replaces the need to harvest slow growing forests, making it the perfect alternative to hardwood trees. After the atomic bombing of Hiroshima during WW2, one Bamboo grove was still standing, making it the only living object closest to ground zero to withstand the incineration of the blast. The surviving bamboo culms from this grove are now preserved inside a museum in Hiroshima. Bamboo Was Named After It's Reaction To Fire. In the early days, bamboo was referred to as bamboe by the Dutch, bambu by the Portuguese, and mambu in Malaysia/Indonesia. When bamboo is burned, the wood itself begins to vaporize. If too much vapor is inside the wood, it will exert pressure and the wood will pop, which is described as a bam/boom sound. According to legend ("legend" being the 4-5 unsubstantiated articles I read on bamboo for this blog), all of these words were derivative from the sound of bamboo burning. Minus the heavily contrived articles about Boy Meets World and NuTella. This entry was posted in Eco-Conscious, More Than Just Green on February 12, 2016 by admin. Dots Per Inch, Pixels, Raster, Bitmap, JPEG.... if you've ever spent time inside a Kinko's, these are words that get tossed around liberally. Usually from a surly employee who throws them in your face in an effort to confuse you so they can clock out for lunch (I should know, I used to work there). Although with the inclusion of a pretty decent camera on every smartphone, these terms have grown to become more and more commonplace. With that being said, there's still a good portion of people who haven't fully absorbed the connection between these terms and a good picture. What it ultimately boils down to is Resolution. For the uninitiated, resolution refers to the amount of individual points of color that are contained in any given digital image. These individual points of color are referred to as Pixels, which en masse, comprise the overall appearance of your image. What does this mean? The more pixels, the more defined and detailed your image appears. When an image contains a small amount of pixels, it appears to be "blocky" and unclear, which is referred to as Pixelation. The amount of pixels in a digital image is ascertained by it's DPI, which is an acronym for Dots Per Inch. Much like it sounds, DPI is a measurement of how many pixels are contained in each square inch of an image. These pixel images are most commonly referred to as Raster (or Bitmap) images. There are several different formats for Raster files. The four most popular being .GIF, .PNG, .JPEG, .and TIFF. Without going off on a separate tangent, these file formats differ from each other depending on the images purpose, use, and overall appearance. The most common and widely used of these file formats is .JPEG. The lowest of the low, 75 DPI is the smallest resolution you can print with before it starts to look like your image was created with Legos. 75 DPI images cannot be enlarged without image loss, and appear be a tad "grainy" when viewed up close with the naked eye. Although in terms of large format printing (anything greater than 3ft²) 75 DPI can be advantageous in terms of file size. Also, most images printed in large format are traditionally viewed from a distance, negating most issues pertaining to image quality. Much like the Baby Bear's bed, chair, and porridge in Goldilocks, 150 dpi is just right for large and small format. Once again, while a higher resolution is always preferred, 150 DPI works rather well with printed images, especially if it doesn't contain crazy amounts of detail. Any raster image can be enlarged by reducing it's DPI, so 150 DPI images have some wiggle room in case you want your photo to print a little bit bigger than it's original size. Just keep in mind that you do sacrifice some image quality to do so. The universally preferred image resolution for printing, 300 DPI images print truest to the original source. 300 DPI is also the cutoff point in terms of noticeable image quality, as any difference with an image printed with a higher DPI is almost negligible. 300 DPI images print crisp and clear regardless of detail. They also allow for the image to be scaled higher than the 2 previously mentioned values. 300 DPI work best with small format printing. In conclusion, these are more guidelines than rules. 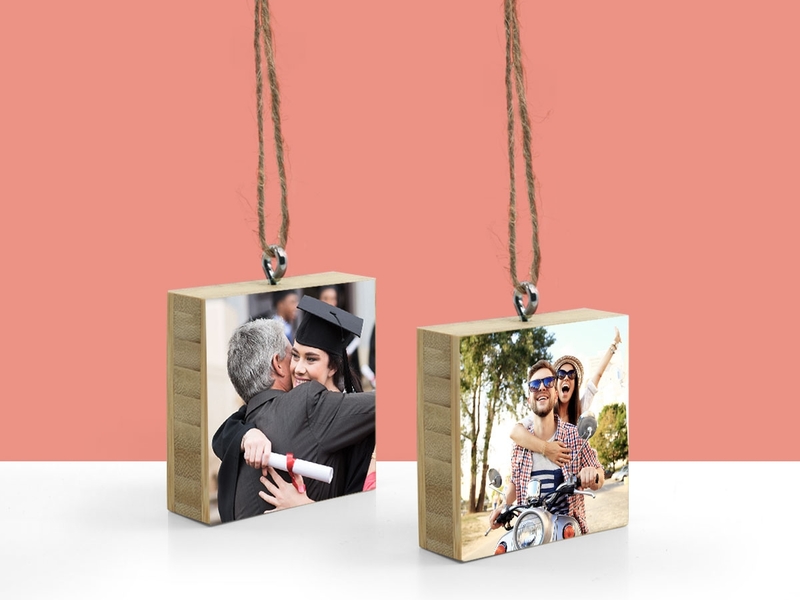 Sometimes an image might have higher sentimental value than it does resolution, but don't let that discourage you from having it transformed into a beautiful wood print. A low res image will always be offset by great emotional worth. This entry was posted in Direct Printing, Photography on February 9, 2016 by admin. So as we've waxed poetically a couple of blog posts ago, PLYWERK has a brand-spanking-new printing process! 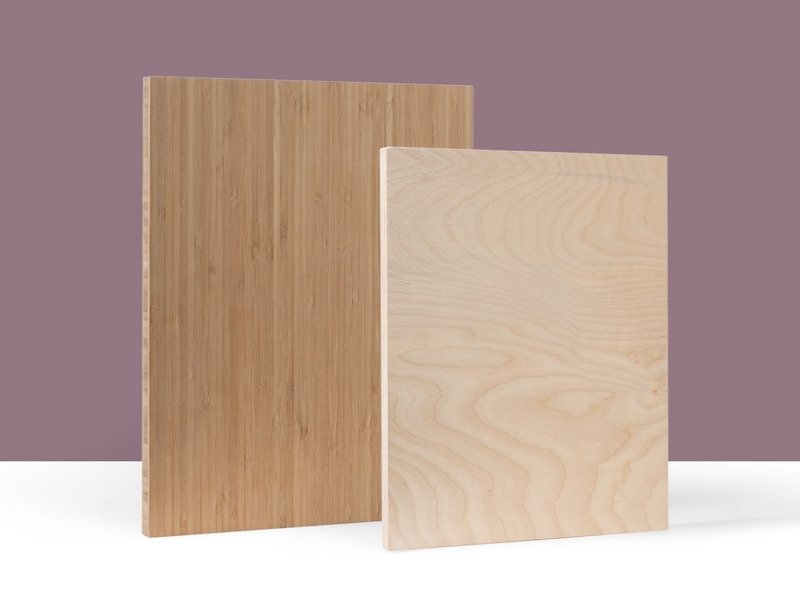 What you might not now is that we still offer our Blank PLYWERK canvases. Wait... what? 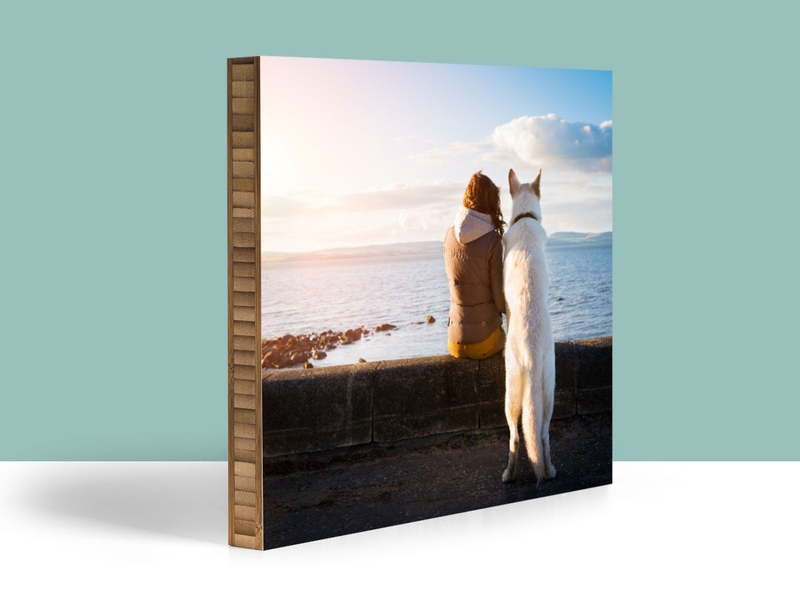 Blank PLYWERK Canvases: The "Pet Rock" of photo mounting. Who'd want or need a blank hunk of (ply)wood (or bamboo)? I'll tell you who: anyone with an imagination! Some people might ask what makes these blank panels so special? Not you though. Where some might see a blank canvas, you see an endless cavalcade of possibilities! An entire world to be woven into existence! A... uh... third and equally inspirational metaphor that would impress someone painfully uncreative as myself. Even better than a blank canvas is one with an adhesive mounting option. So even if you can't draw, paint, or use a glue gun, you can still create a your own PLYWERK print! 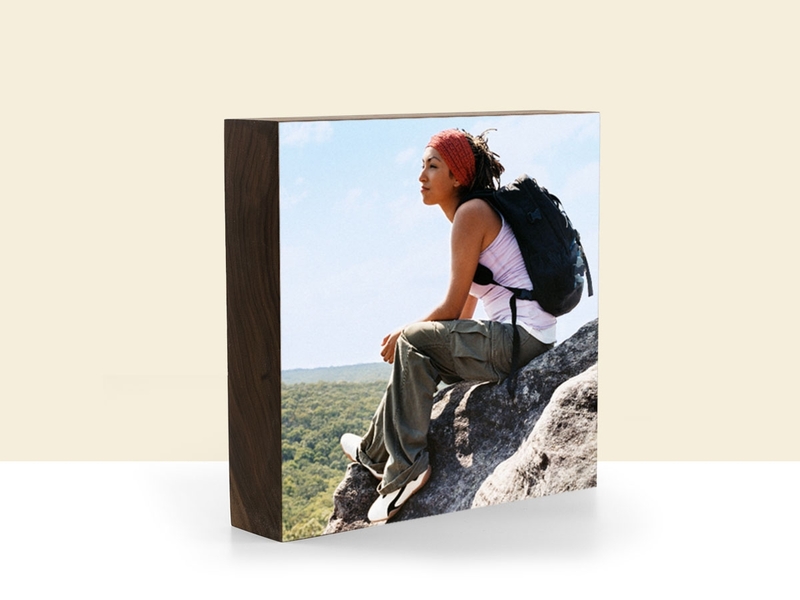 Now you can mount your favorite image onto a PLYWERK panel. 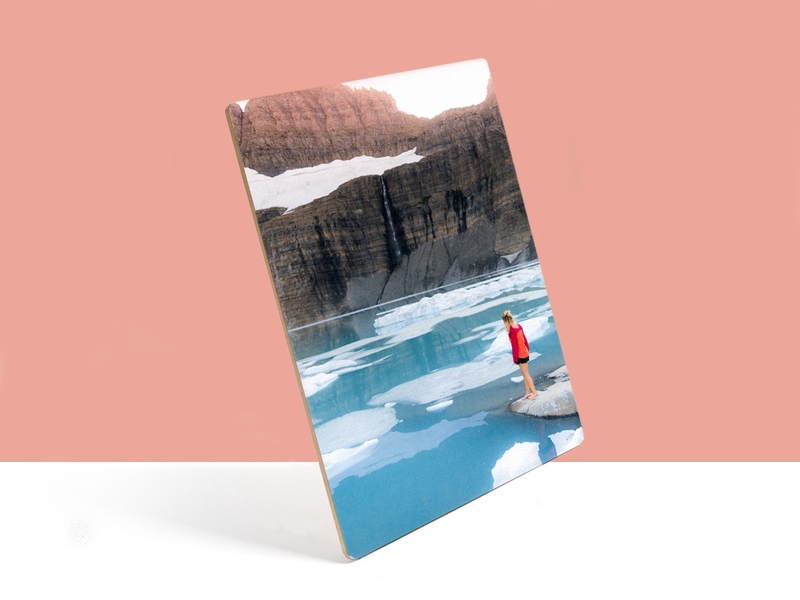 Better yet, if you're SUPER creative, you can make a collage of all of your favorite images before mounting it to one of our blank canvases! PICTURED ABOVE: A collage of my friends. Wether you got a $200 set of paints and brushes or an exacto knife and a shoebox full of old photographs, a blank PLYWERK canvas is perfect for you, and if you don't, you can still get it for someone who does! I mean, if they were really creative, then they would be able to appreciate the thought process that went into them getting a blank piece of wood as a present. Right? All in all, there's no right or wrong way to decorate a blank PLYWERK canvas, just as long as it inspires you! I was inspired to mount a photograph of a blank PLYWERK canvas onto to a blank PLYWERK canvas. Talk about Postmodernism. This entry was posted in DIY, Handmade in California, Photo Display Products, Photo Mounting on February 5, 2016 by admin.